You can choose layout for Shop page in WooCommerce – Shop Listing section of 5th Avenue options panel. If you choose layout with sidebar then select with available sidebars will appear. You can create new sidebar and add your widgets there in Appearance – Widgets: Create Widget Area. Following options allows you to drastically change appearance of the products grid. You can choose from different product hover styles. Enable disable different elements, set product title, price and other info alignment and so on. This option allows you to load products without reloading page. The difference is that infinite scroll will load products when you scroll page when load more will load products when you click on lead more button. We use TI WooCommerce Wishlist to add wishlist functionality in theme. If you set grid style as Bottom line and want to add wishlist to this line then you need to enable Override the output of TI Wishlist button option. 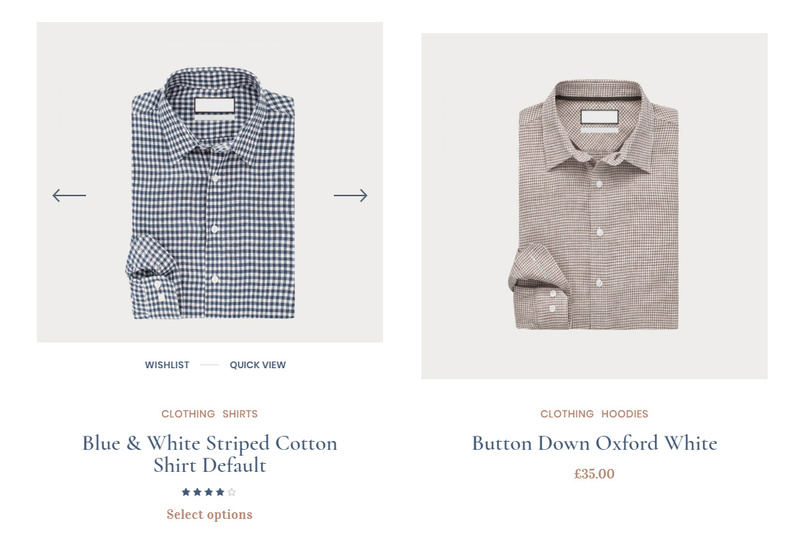 Product Thumbnail Type – if set second image on hover it will show first image from Product gallery when you hover the product on grid. Enable Thumbnails Carousel – we’ve created additional gallery for product to show on grid. 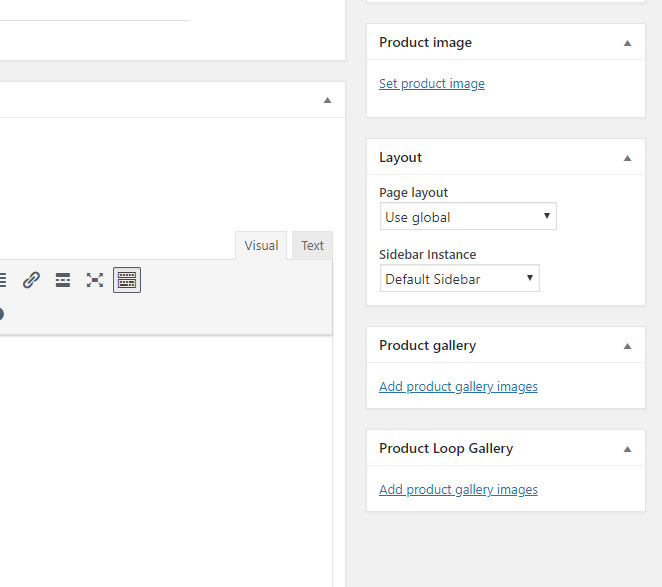 If you enable this option you can add images to Product Loop Gallery metabox when you edit product page and this images will be displayed on grid only as product thumbnails carousel. Example of thumbnail carousel on hover with bottom line grid hover style. 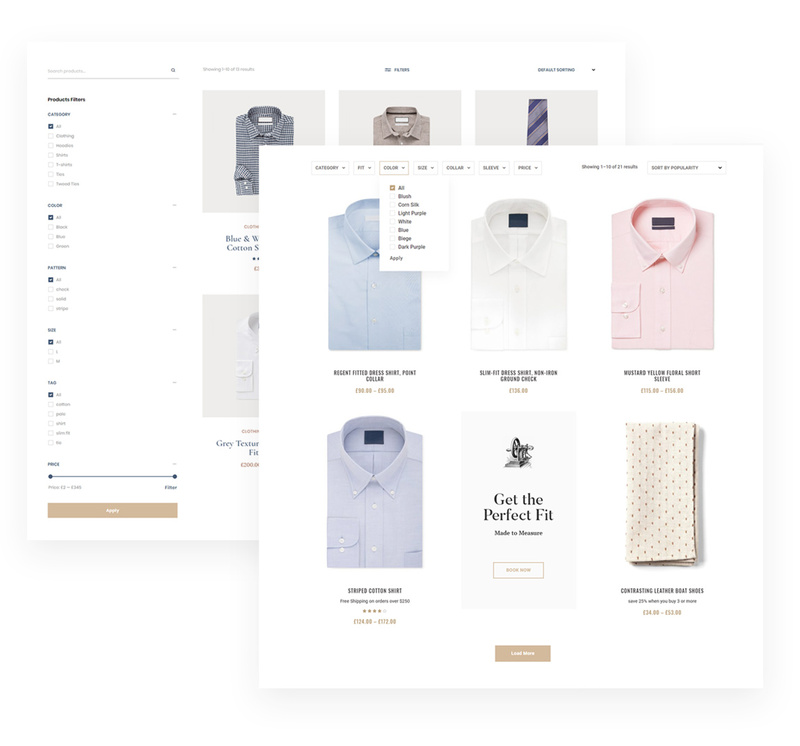 We have created custom quickview functionality for Fifth Avenue theme so to enable it you simple need to switch Enable quickview option in WooCommerce – Shop Listing section of 5th Avenue options panel. Quick view will appear with fancy animation and load product content dynamically. Choose from two layouts: with fixed at the button(image below : left) and normal position(image below :right) for add to cart button. Images in quickview can bee zoomed and opened in Fullscreen Gallery. You can set product columns in Appearance – Customize – WooCommerce – Product Catalog. Set the number from 2 to 6 in Products per row field. 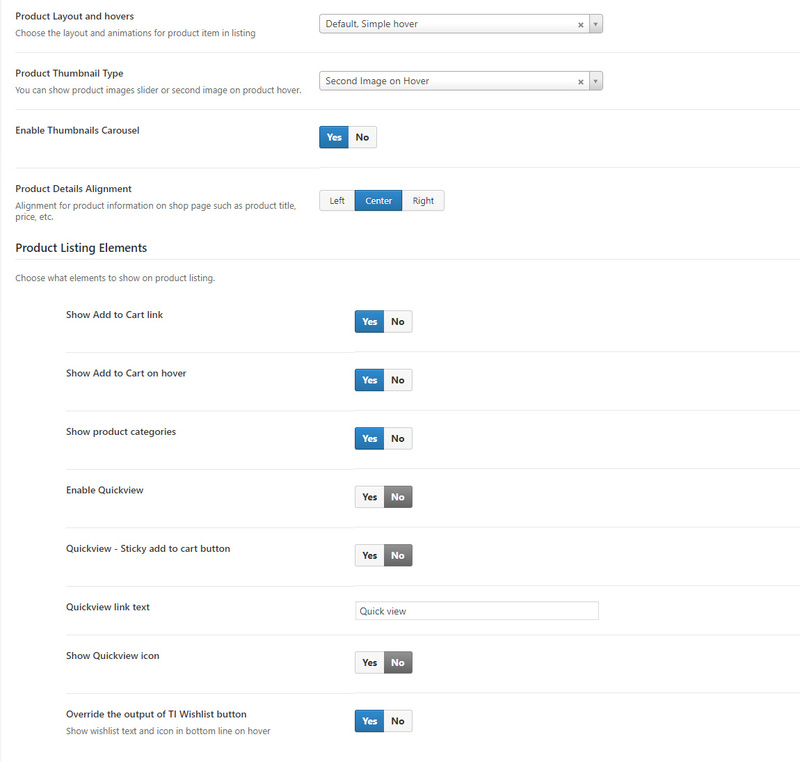 Additionally you can set amount of products per row on mobile in WooCommerce – Shop Listing section of 5th Avenue options panel. Choose between one or two products per row. You set amount of products per page in WooCommerce – Shop Listing section of 5th Avenue options panel. You can use this option to set space between products on big resolutions. Instead of scaling image it will add space between them. Set background add any content including shortcode, set content align and and choose position in grid. You can add two different banners. 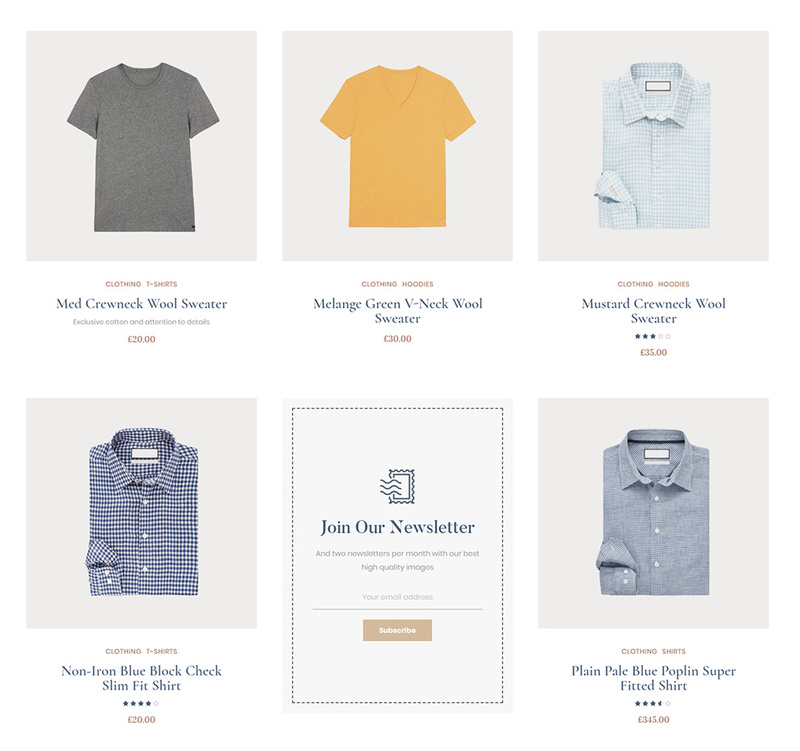 We’ve created our custom product filters exclusively for Fifth Avenue theme. 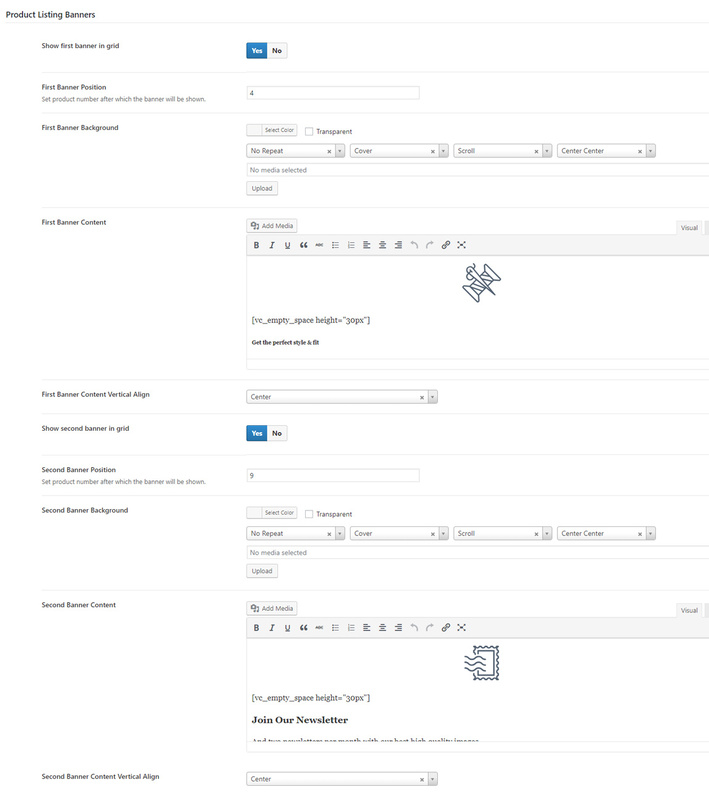 You can add product filters with multi-select as widget in sidebar, drop downs above the product or as slideout menu. You can choose what to show in filters like categories, attributes etc. 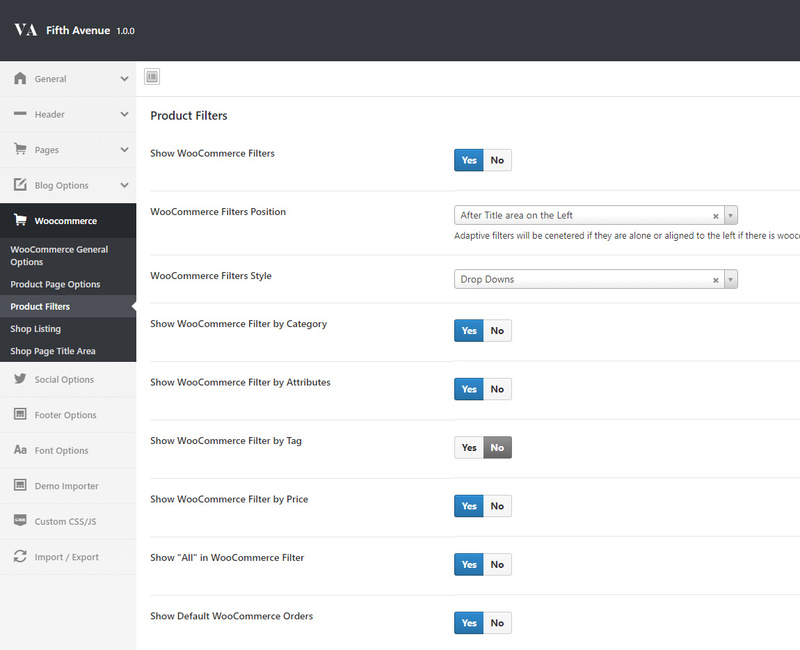 You can find product filters options in WooCommerce – Products Filters section of 5th Avenue options panel. Additionally you can find 5th Avenue – Products Filters widget in Appearance – Widgets.